Thanks to Dean, my request of a Miniature Horse forum has been added :-) I am hoping to have many threads, including foal pix, breedings, shows, training, conditioning and showing !!! Let's see everyone's mini's !!! 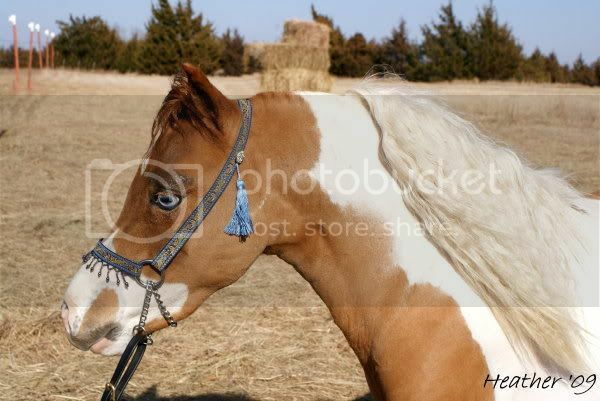 I do have some pics of my little lady after all, this is Puzzle, her dam was Patches. AHHH Heather he is too cute. He looks better and better with each pic. He sure is a lucky boy when you showed up at the sale! I am looking forward to seeing all his future pics and I am sure show winning pics too. Oh Leon, she has a beautiful, sweet face ! I bet you would get a very cute and pretty Chestnut spotted foal between her & Hercules ! Thank you I am having a fine time with him, so very happy we went to that sale, I think I honestly SCORED !!! and I am hoping to win one of those coveted belt buckles at Pinto World with him this year, we'll give it our best shot anyway ! Thank you! I love this little sweet heart, miss her dam very much, I will see about finding some pics of her as well. 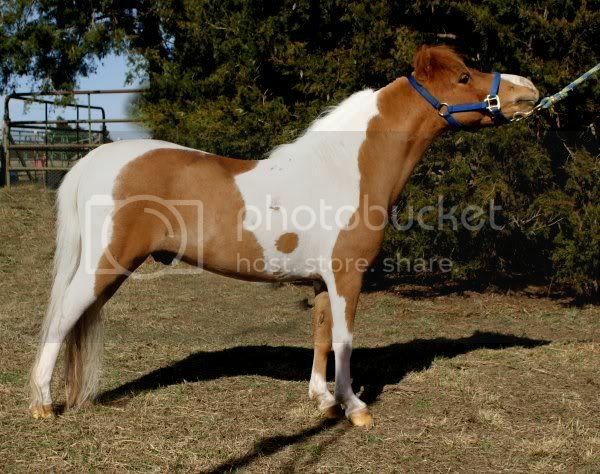 Here they are, the paint mare was Patches, dam of Puzzle. Very cute mini's everyone! And thanks for adding the mini forum! My heart is in my horses, my horses are in my heart. 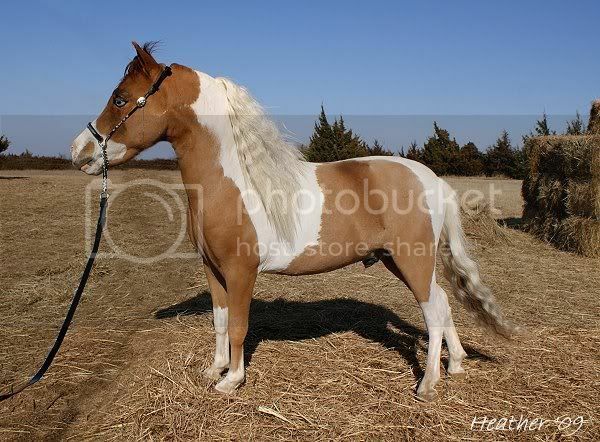 WWWWWWAAAAAAAAAAAAAAAAAAH I wanna mini mare!!! Those guys are just too cute Heather and Leon. They just melt my heart. I once took pictures of a whole herd of mini-donkeys and they were just precious. It was like a herd of puppies. I've never had the pleasure to meet a mini-horse though. I'm looking forward to learning more about your breed. Congrats on your new forum. See more of my photographs here. Newsflash! New lowered photography fees for all to afford! He is learning to set up for Halter, obviously he REALLY needs that neck sweated, but he's catching on to the stance at least !